Wow, it's a bit hard to remember them all! And I'm sure I missed something! See now your making me wanna go to my storage and get all my boxes out so I can take a picture of everything. Although a handful got destroyed and thrown away during our move. I tried keeping all of my boxes, but they were taking up too much space (and I have NO WHERE NEAR as many as you do). Got my last one on eBay open box but completely unused for 10 or 15 dollars. This looks like you raided an Anker store. Nice picture! 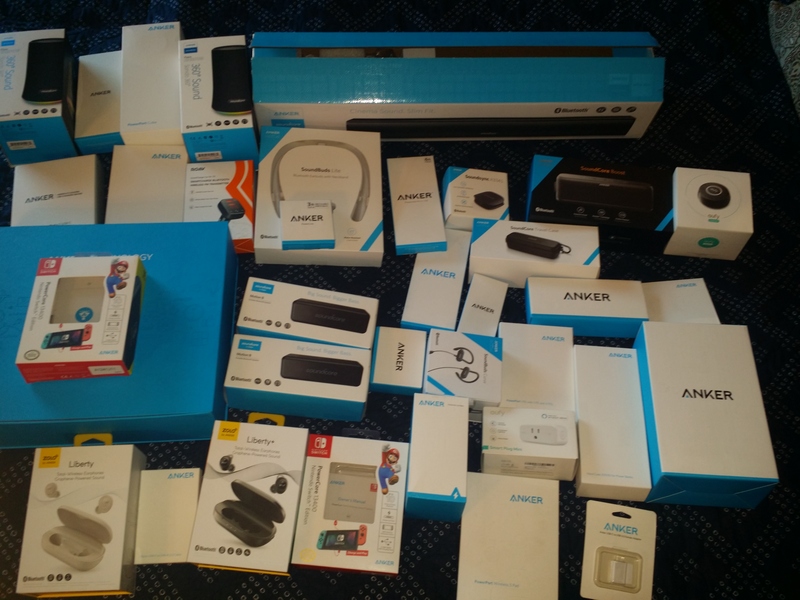 I didn't realize I had that many anker products!! I am loving this Thread @AnkerOfficial we have to get it to the top so everyone posts their products! 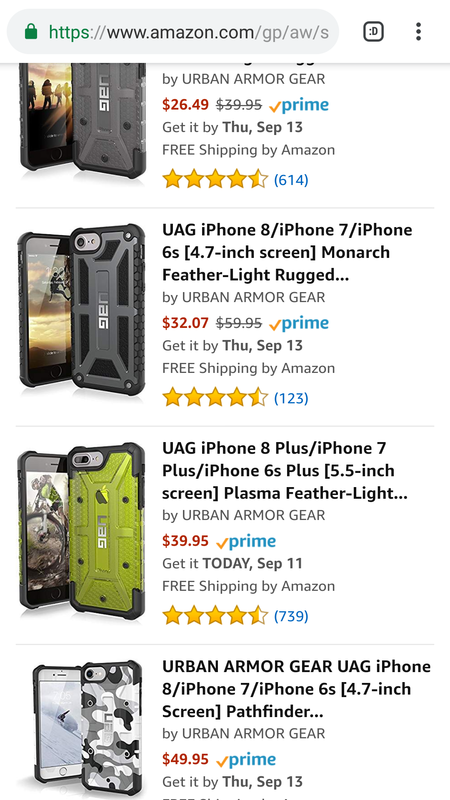 I have the silicon Karapax case (for an iPhone 8 Plus), and I'm not a fan. I don't care for the feel of it, and it's an absolute dust magnet. I've been using a Speck Presidio Grip, but that cracked in one of the corners and is pretty much ruined (after 3 months). 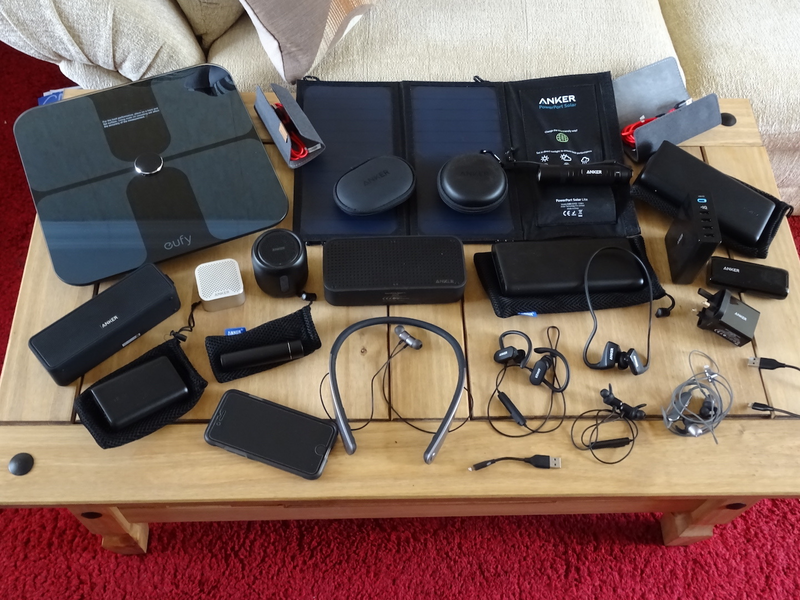 I was sitting here in my office this morning, turning on my SoundCore 2, and I realized that since I bought my Anker SlimTalk battery in 2012--which still works fine, by the way--I've accumulated quite a collection. In fact, it's taken me a while to figure out everything, but here it is. What do you have? SoundCore 2. I use it daily. But I admit I kind of want a Flare. And SoundBuds lite. I keep those at work too, they still work great.